Similarly, Solar Responsive Thermochromic (SRT) glass from Glassworks features a thermochromic PVB interlayer that harnesses the sun’s rays to alter light transmission properties. The degree to which the material reacts is based on the amount of sunlight hitting the external surfaces. The benefits of optimised natural light for commercial buildings are extensive. According to BoscoLighting, increases of between 10 and 50 percent have been shown to occur in the realms of productivity, health, and mental well-being – not to mention the environmental benefits. Find out more about the circular economy approach and the real “meaning of greening” in today’s office. With sunlight comes heat and glare, two factors that can seriously undermine the comfort of an office’s occupants. While these negative side-effects need to be accounted for, typical solutions such as air-conditioning can pose a serious threat to the sustainability rating of the space. Meanwhile, they don’t necessarily solve the issue of glare. This principle is commonly known as bioadaptive lighting and refers to light that is biologically linked to humans. Bioadaptive lighting relies on systems that allow the colour temperature of light to be altered and optimised throughout the day in response to our circadian rhythms. 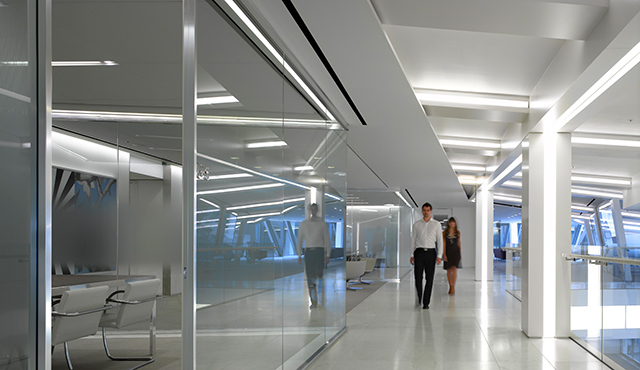 Another study by Zumtobel compared two identical office corridors. One corridor was equipped with conventional fluorescent lamps that were turned off by presence sensors after ten minutes of inactivity, while the other was converted to LED luminaires and the switch-off delay of the presence sensors was reduced in stages to one minute. The study found that the corridor with LED luminaries and optimised presence sensors consumed 81 percent less power than the comparable corridor. 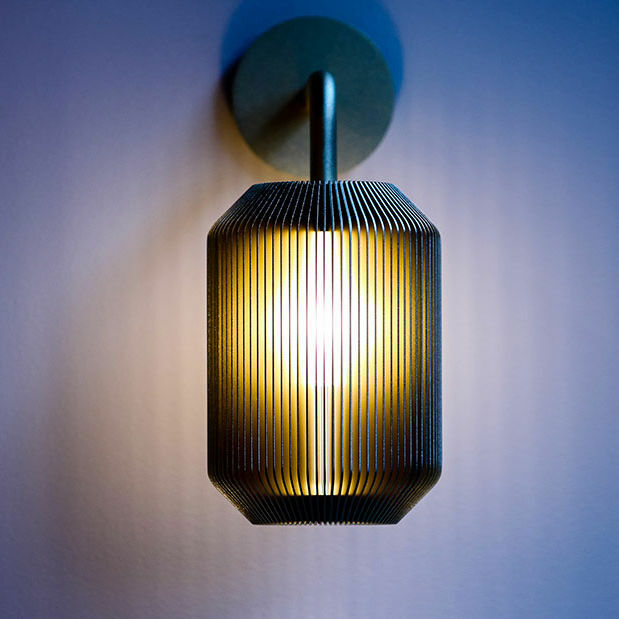 Vision is another major factor that must be considered when designing office lighting. Optimised lighting eases eye-strain and contributes to an employee’s health and motivation – two areas that directly influence productivity. In a comparative study of two identical office spaces, it was found that the office space with bioadaptive lighting had significant benefits for the health and well-being of occupants – for instance, a calmer, more balanced mental state. Studies showed that occupants whose offices incorporated bioadaptive lighting were 15.2 percent better at coping with stress than those in “commonly-lit” office spaces. In recent years, we have held interactive workshops with leading experts in lighting, design, architecture and HR, with the aim of understanding the way in which the modern workplace is changing. Most recently, sessions in Paris, Berlin and London have helped to spur new debate and thinking as part of a project called WorkingPeopleLight. But what steps can office managers and employers take at a practical level to help enhance productivity, inter-connectedness and wellbeing? And when it comes to light specifically, is it really possible to make a meaningful difference for the user, the organisation and the building? While bioadaptive lighting technology is relatively new, there has been much research done on its effects. 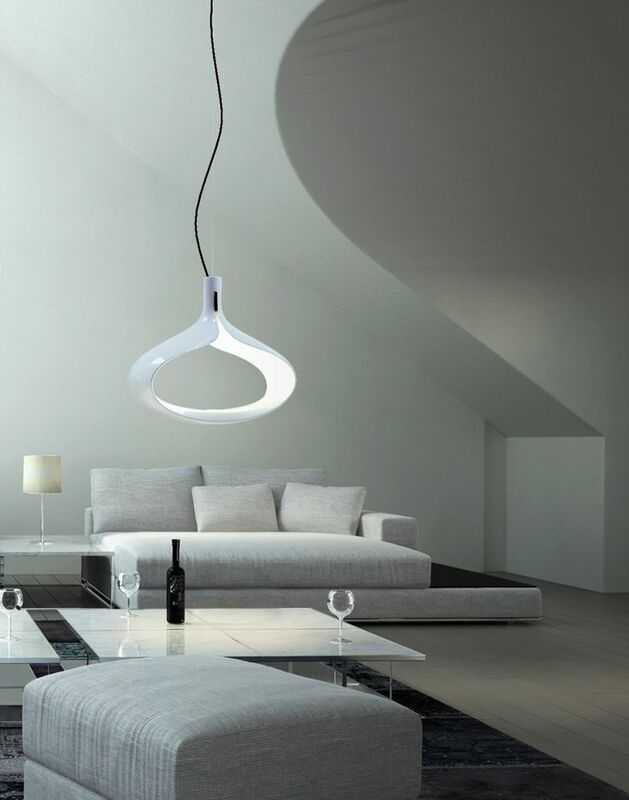 Findings from companies such as Zumtobel have been very much in favour of bioadaptive lighting’s benefits. 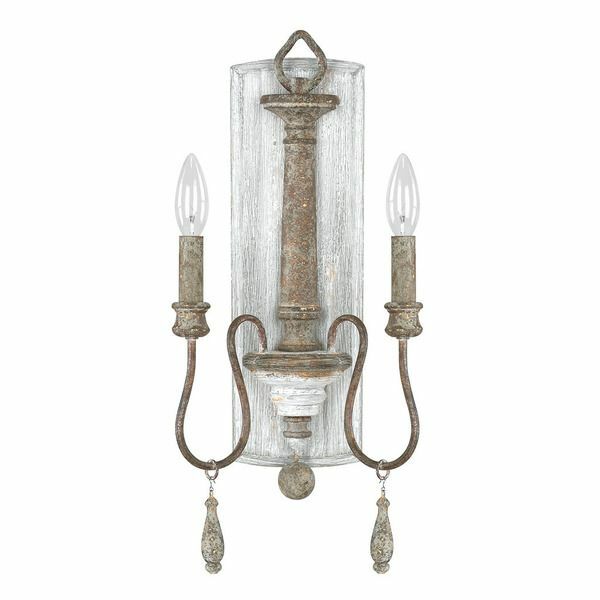 Want a whole wall of light? It’s now possible to shape and control the surroundings of an office environment at the touch of a button. And the power is not just in the hands of facilities managers. Any worker can potentially micro-manage their own space through something as simple as a smartphone or tablet app. It’s empowerment to shape the immediate area around us. This creates an unfortunate paradox. To save money, cheaper glass is specified, but air-conditioning is subsequently required to negate the heat gain, and external blinds or shutters need to be added to prevent excessive glare. In the meantime, the initial costs have risen, and the space must now deal with the ongoing burden of air-conditioning to both their budget and the environment. Workshops created by Philips Lighting, bring together leading industry experts to explore the changing trends in office life and comfort in the workplace. 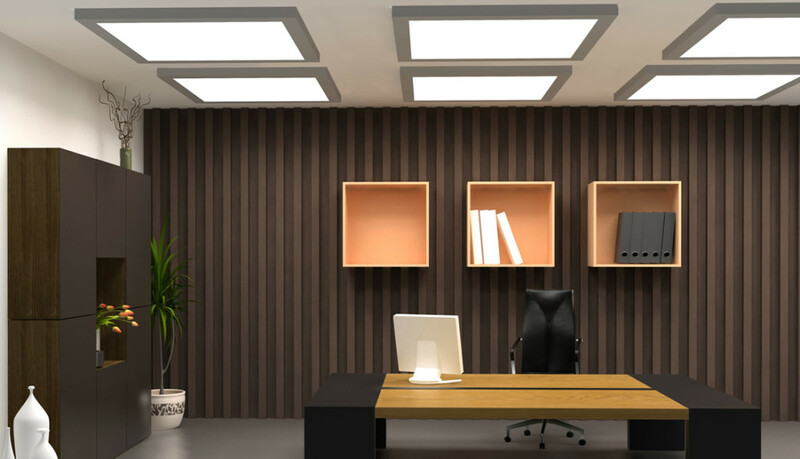 The choice of office lighting largely comes down to one of two considerations: natural or artificial light. Generally, natural light is accepted as the better choice. However, it is not enough to simply specify large-span glass windows that let in lots of light and assume your obligations have been met. Glass windows come with their own set of considerations to ensure a positive outcome. Specifying the right type of glass in commercial projects is, therefore, one of the most significant choices one can make in terms of achieving energy efficiency, optimal lighting, thermal comfort, and occupant wellbeing. The brightness of a room has a major impact on how space is perceived and the mind-set of employees. Brighter walls are known to bring positive associations of openness. But might too much brightness lead to eye strain? Well, the key is creating dedicated spaces for different activities and having the ability to change lighting to accommodate different modes of work. Sometimes, reduced brightness can be useful too, particularly in conjunction with a warmer color temperature. The feeling then is often one of intimacy, which can be important in achieving coherence within a group. Wellbeing is, after all, affected by our sense of belonging.The chosen option may vary from organization to organization and location to location within a building. It might also depend on your corporate goals and brand identity. This raises the intriguing possibility that the workspace can reflect the core values and culture of a company. 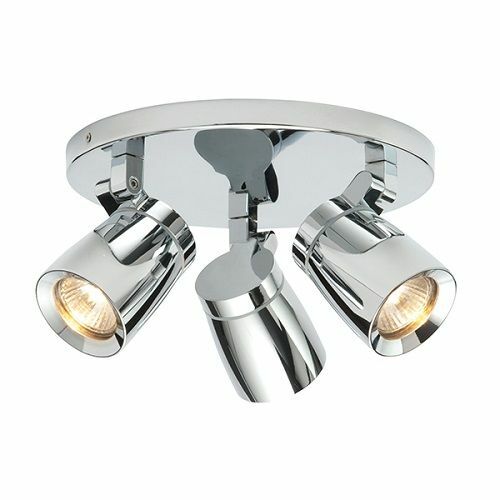 Lighting is actually a very effective tool for enhancing a sense of brand. 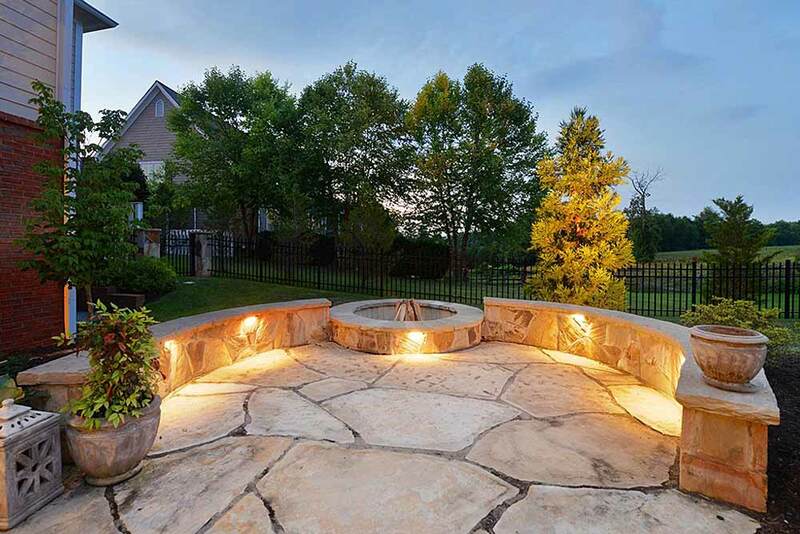 As with glass and natural light, artificial lighting comes with its own set of obstacles. While the saturation of LED lighting solutions in the market bodes well for the environment, with LED’s having a longer lifespan and being up to 80 percent more efficient than traditional lighting, the same principles around human-centeredness and sustainability still apply. 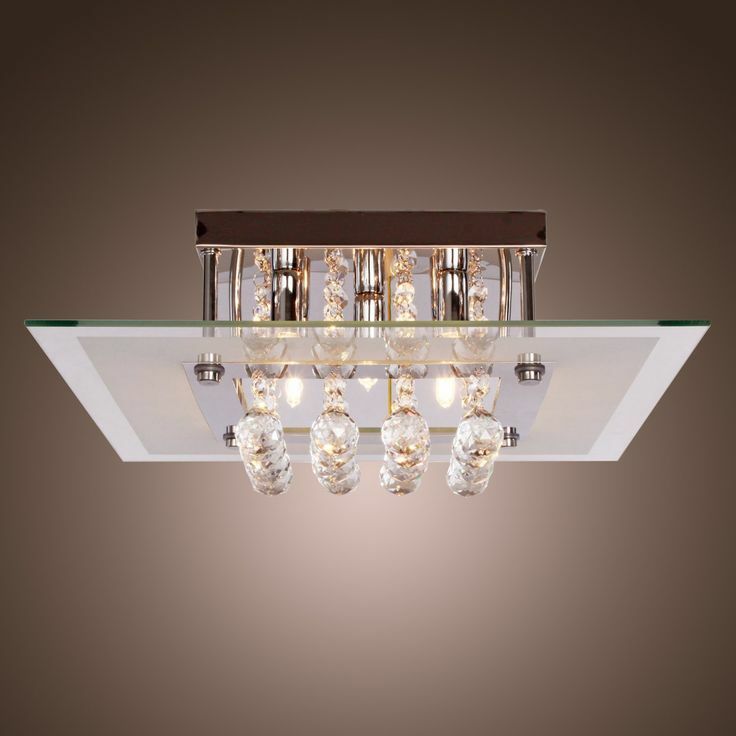 According to Gerard Lighting, human-centric lighting (HCL) is lighting that is designed to create the optimal environment toward promoting the health and well-being of humans, rather than acting simply to illuminate a space. 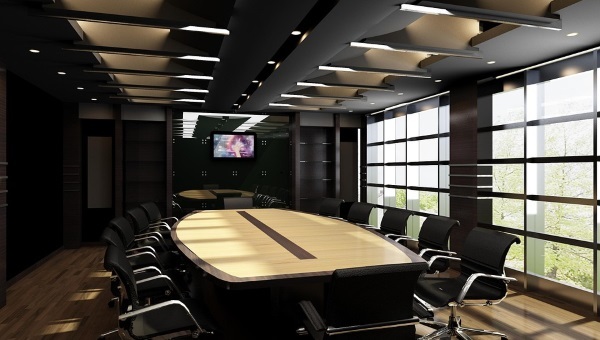 By combining commercial lighting initiatives such as natural and artificial light, bioadaptive principles, and PoE technology, we facilitate an environment that benefits everyone involved – from occupants to employers to specifiers. In doing so, we prove that it is possible to cater to psychophysiological wellbeing, increased productivity, financial savings, and environmental gain all at the same time. One of the benefits of PoE lighting is that it is easy to install. When combined with the principles of bioadaptive lighting and LED lighting technology, the result is an automated lighting system that is specifically designed to cater to the occupant’s psychophysiological health. Technological advances are changing the way we shape spaces and enhance comfort. LEDs – a high-quality, low-energy light source – have opened up a wealth of possibilities.Digitization of lighting is a major trend. There is a whole range of data we can gather via an installed grid of connected luminaires. Not only does this help with energy efficiency and cost savings, but it also allows us to address maintenance and occupancy issues. Because they produce less heat than conventional light sources, LEDs can be embedded into materials and the structure of the building itself. It’s now possible, for instance, to make use of smooth, light-giving ceilings which also combine to regulate acoustics within a particular space. Power over Ethernet (PoE) lighting is one of the tangible results of the shift toward all things digital. While PoE is not a new technology, its compatibility with lighting has come about as a result of innovations in the area of LEDs. If adequate thought is given upfront to specifying glass that allows for maximum natural light without the negative side effects, then costly add-ons and ongoing costs can be avoided. 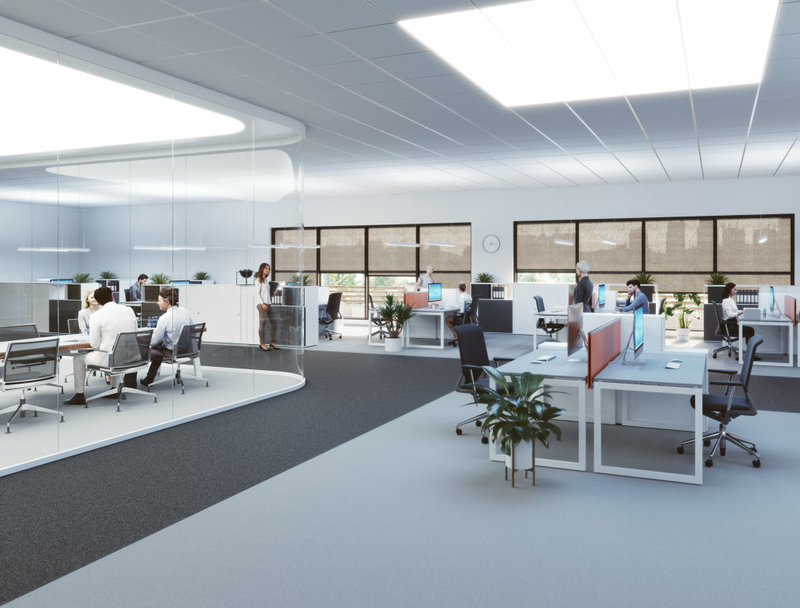 The crucial factor in this paradigm shift has been a recognition of the pivotal role that office lighting plays in the health and productivity of the workforce. With the daily nine-to-five slowly becoming synonymous with eight-to-eight, we are spending larger and larger portions of the day inside with limited access to natural daylight. For better or worse, this means that office lighting has gained an ever-increasing influence over our circadian rhythms. Often, due to budget constraints, design requirements, or even project location, large-span glass windows that allow plenty of natural light are not a realistic or viable option. In these cases, designers and architects must turn to artificial sources of light. We only use 20% of our brains. Good working conditions open up the extra potential. Discover how intelligent workplace design is shaping new ways of working, keeping employees engaged, active, healthy and happy, and making businesses more productive. 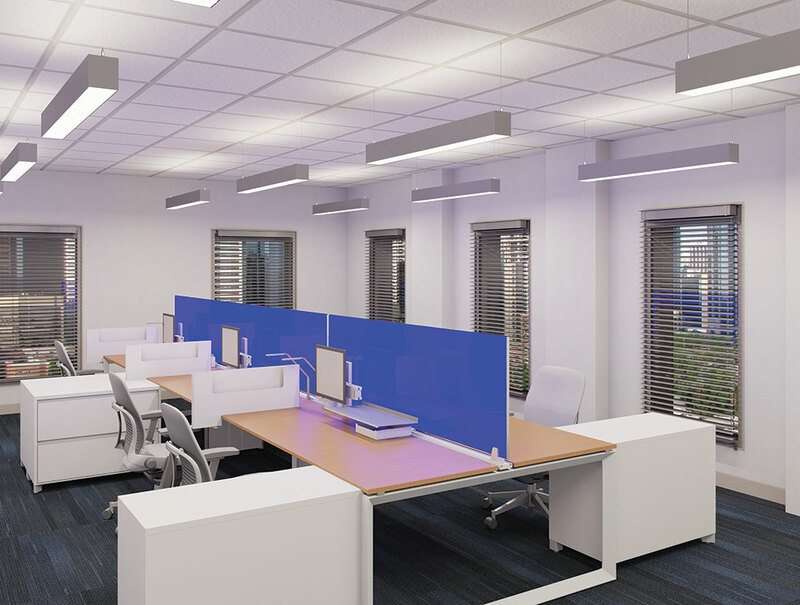 These two case studies clearly highlight the benefits of optimising an office space using the principles of bioadaptive lighting and modern LED technology. Obviously, these results have flow-on effects for productivity and staff engagement, making effective and optimised lighting a win-win for employees and employers alike. State-of-the-art Philips connected lighting system helps create a more comfortable, productive, and sustainable office environment at The Edge. The ideal office environment allows as much natural light into the space as possible. As a result, occupants’ health, eyesight, mental state, and work ethic are benefitted by access to sunlight. But access to natural light does have some drawbacks. With an increase in the amount of information available regarding the benefits of an optimised office space – for productivity, wellbeing, and sustainability for instance – there is a correspondent increase in the amount of market support for technologies that help achieve this. Essentially, this means that SRT glass can self-tint based on the amount of light it is exposed to, without the need for additional power sources. This results in an ideal amount of natural light being allowed to penetrate the office space, without the excessive heat or glare that would usually be associated with natural lighting strategies. Balancing the individuals needs in their work surroundings with the inherent commercial benefits for the business of improved performance, effectiveness and productivity are mutually beneficial. Flexible, dynamic and versatile, the links between the right light and employee wellbeing and comfort at work are clear. Luckily, several products exist on the market that negate the need for additional systems to be implemented alongside glass windows. For example, the Okalux range of glass products – distributed by Architectural Glass & Cladding – are well-suited to office spaces as they allow an increase in natural light without increasing heat gain or glare in the workplace. “Glass is often the first material on a project to be downgraded to a cheaper product due to budget [constraints],” says Paul Nipperess, sales & marketing manager at Architectural Glass & Cladding. Color is important too, of course, as it has a strong emotional power and can trigger significant reactions. But getting it right isn’t always easy, as we not only have to consider intensity, but also temperature and hue. Studies suggest that a higher – or ‘cooler’ – color temperature stimulates alertness and focus by suppressing melatonin, a sleep hormone which is sensitive to the blue part of the spectrum.So it’s possible to make a tangible impact on the working lives of individual employees. But we will rarely work alone. This is why it’s also important to focus on the space we share with others and the needs of the organization as a whole. Everyone agrees that employees are the most important asset of any company, but how often is the workplace really designed around them? Thinking about light, the primary need is obviously visibility. We have to be able to see our task properly. If we’re trying to concentrate on, say, a lengthy report, excessive brightness and large differences in contrast might distract us or cause fatigue. Higher light levels would be good, but we also need to ensure low glare and a degree of uniformity. What about emotional comfort? If we’re in a break-out area, we might not be looking for a calm, low-contrast environment, but hoping for a livelier and more engaging atmosphere.